This is the second of eight articles in the Standpoint Series, a set of short essays meant to articulate our perspective and spark conversation. This time of year, there is a slow migration of boats up the ramps, down the highways and off the docks toward their winter homes. The Great Lakes states are home to a nearly $16 billion recreational boating industry, but those aren’t the boats on my mind today. I’m thinking about another industry that, since the new Congress took office, has ramped up an assault on hard-fought Great Lakes protections meant to keep our water healthy and invasive species out. Shipping undermines the health of the Great Lakes at the expense of communities. Cargo vessels are directly and unquestionably the source of the entry and spread of catastrophic species invasions that have cost the Great Lakes billions of dollars since the late 1980s. Just this year, another new invader was discovered in Lake Erie. And yet, nearly three decades since the zebra mussel invasion, almost no ships on the Great Lakes are treating ballast water to stop invasions. Those costs are shifted onto people who live here and unlikely to ever be recovered. Like almost everyone, the shipping industry is shopping around Washington for a share of any federal dollars for infrastructure that may coalesce, including nearly $1 billion for a new lock at Sault Saint Marie and $4.2 billion for five other locks on the Illinois and Mississippi Rivers. Leaving aside the merits or demerits of those projects, the industry shouldn’t expect billions of dollars of infrastructure investment while continuing to make new, costly species invasions more likely. This is the worst kind of exceptionalism. While shippers pursue billions of federal infrastructure dollars for new and improved locks, they’re fighting the one lock project that would keep the Great Lakes safe from Asian carp, a particularly destructive invasive fish. Great Lakes residents care deeply about keeping Asian carp out of the lakes. And billions of boating dollars coming out of their pockets each year will go elsewhere if the carp make our rivers and lakes off-limits. So people were stunned when, in February, the White House abruptly pulled the plug on the release of the Brandon Road Study. The draft study, already completed and in the works since 2015, is the critical next step in an effort to install additional control measures against Asian carp entering the Great Lakes at Brandon Road Lock and Dam in Illinois. Thanks to significant public pressure and support from many Great Lakes Congressional champions, the Brandon Road Study was finally released last month and is currently in a public comment period. At three public hearings about the study, the barge industry has made the claim that existing measures are good enough—despite overwhelming evidence to the contrary—and flings Lake Superior-scale hyperbole about the negative impacts that added control measures might have on their industry. The truth is, this major infrastructure project enjoys tremendous public support, would benefit millions of people in the Great Lakes states by protecting local ecosystems and economies—including the multi-billion dollar boating, fishing and tourism industries—and create only minor changes in how barges move through the lock. The shipping industry plays a role in the economy by creating jobs and moving goods, but they don’t own the waterways. There are many industries and interests that keep our Great Lakes economy afloat, and it’s our collective responsibility to operate in a way that protects the water for all who share it. No free passes. To improve balance and stability, ships take in or discharge water in their ballast tanks when cargo is loaded or unloaded. The problem is that, in doing so, they also take in all kinds of live critters that, when discharged somewhere else, can pose a serious threat to native species and ecosystems. Hard-won, court ordered regulations are in place to require oceangoing ships to treat their ballast water before discharging it. Shippers must be accountable and stop introducing and spreading the biological pollution that is invasive species. But the shipping industry seems determined to fight this—it’s pushing the Vessel Incidental Discharge Act in Congress. 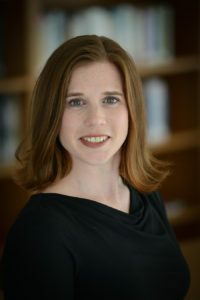 This bill, which has existed in some form since the late 2000s, would remove the U.S. EPA from its scientific role in deciding what standards are needed to stop new invasions from happening in the Great Lakes, and would entirely exempt ships that operate solely on the lakes from those standards. It is a blatant attempt to get out from under the regulations that apply to every other business. Great Lakes champions in the Senate have blocked this desperate attempt to carve out an exemption from the Clean Water Act. While we’ve been able to stave this off, it’s taken so many valuable hours and resources that could be spent on a more aspirational effort to protect the Great Lakes for all for generations to come. In 2016, we were part of a first attempt by the Great Lakes governors and premiers to describe the maritime future in the Great Lakes, though that effort failed to exert a sustainable vision. I have heard from visionaries who understand that our shipping economy is operating at far less than its potential and want investments that bet on the future, rather than embed old ways. Some shipping companies are already making down payments because they understand that to do business in the lakes means no new invasions allowed. Somehow, some way, every other industry that discharges water into the Great Lakes has figured out how to make a buck or three, support their share of the $62 billion in wages generated by Great Lakes-connected firms, and comply with the letter of federal law. There is simply no need to make an exception. Despite the efforts of the industry, which has far more resources at its disposal than we do, we have outsized influence on invasive species issues because of public support for protecting the Great Lakes. Members of Congress know what is at stake when invasive species enter the Great Lakes. No elected official wants to let Asian carp or other invasive species take over their constituents’ favorite rivers and lakes. That’s the power of the public and of our supporters. We’ve been able to leverage that power to defend against the spread of invasive species for the time being. But we need to move beyond constantly playing defense. We need to grow that power and build a shared water ethos that makes it clear that doing business on the lakes means paying the true cost of leaving them better for everyone. 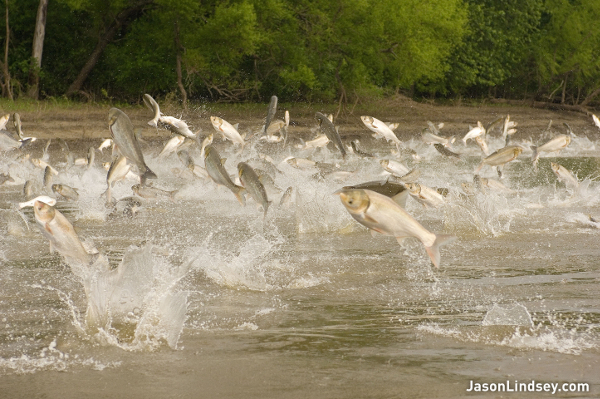 Asian carp pose a serious and urgent threat to the Great Lakes’ ecosystems and economy. As Asian carp continue toward Lake Michigan, the U.S. Army Corps of Engineers is currently seeking public input on their plan to stop these invasive fish. Now is the time to speak up.